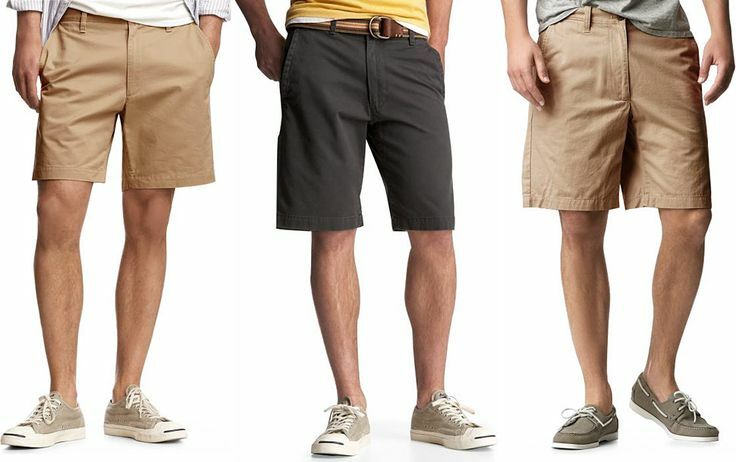 Timeless rules of fit and style apply in the rules for men’s short pants & all summer fashion. 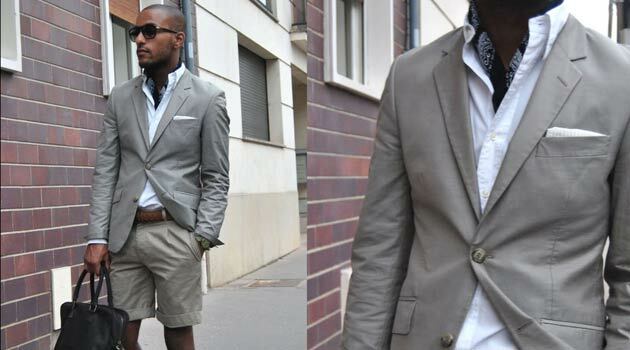 Men should apply the same consideration in choosing short pants as with their full leg length version. If we consider them short pants, they take on a more definitive expectation on their look. Let’s not “short” the shorts: putting it briefly (! 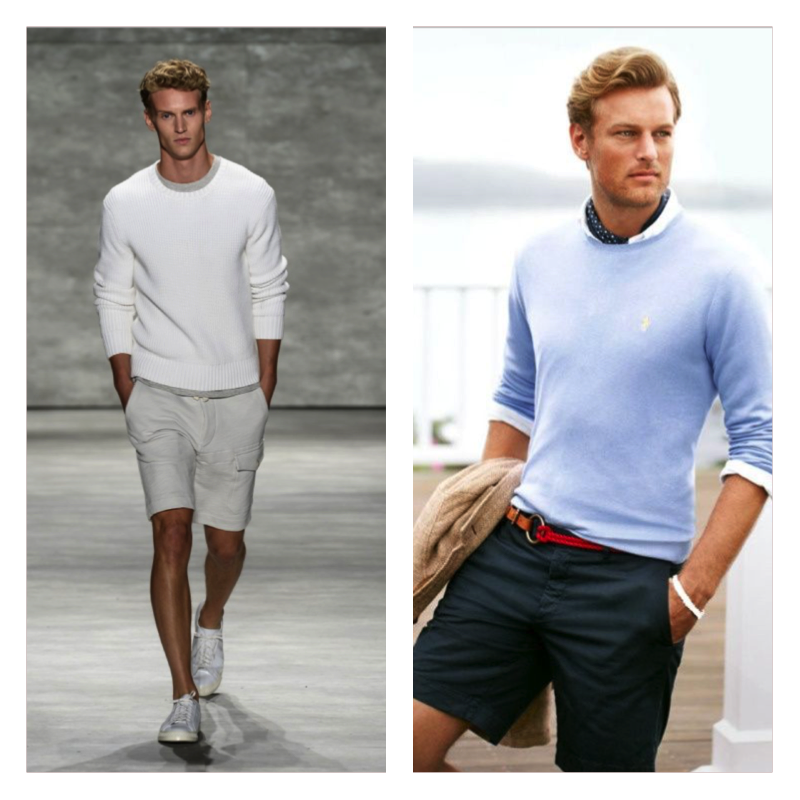 ), shorts are here to stay; they are a more comfortable seasonal style choice. The goal with dressing with short pants is to stay cool and look cool; how is this accomplished? Fit: The fit of the short pants must be on target. We don’t want any tension marks across the seat, under the crotch, and across the legs. With custom there is no compromise on fit. Proportion: Also a key part of creating the right look. Generally speaking, shorts should cover most of the upper part of the leg. The bottom of the short should be one to three inches above the knee. If you have shorter legs and a longer torso, you may want to shorten the length a bit. If you are a little on the short side, you may want to shorten the length a bit. If you have longer legs and a shorter torso, you may want to increase the length a bit. If you are a little on the tall side, you may want to increase the length a bit. If you are big and tall: there is nothing wrong with wearing shorts. Layer for comfort and style. This is a great part of wearing shorts! Leather shoes with NO socks. I’m thinking a penny loafer or a driver, maybe a nice lace-up buck too. This helps “up” the formal quotient of a great, timeless casual look. How ‘bout the ultra cool fashionable “sneaker”. Casual leather or cloth is good and the “no belt” look is good too. For the “polo-phile’s" out there, maybe even a necktie reformatted as a belt. I am a fan of cotton; depending on how the cotton is finished, it runs the full range from casual to dressy. Cotton can be lightweight, reproduce most colors (not black), and dry clean too. Short pants can be made in a crisp cotton, a washed cotton and a cotton blend. For other fabrics, try a linen and silk blend or a 100% linen. These fabrics have an altogether different feel and can help create totally different outfits. Linen is a great fabric for reproducing color. Yes, one can use the same fabrics but it is crucial to make sure that the textures are different. A seersucker jacket matched with a cotton short give a nice modern look. When Can Men Wear Short Pants? EVENT? ARE SHORTS PROPER ATTIRE? Go ahead and get some short pants to add diversity to your wardrobe.